Bikes and kites on the schedule. It is one of the most colorful and beautiful times of the year to be in the nation’s capital. But unfortunately, all good things must come to an end. 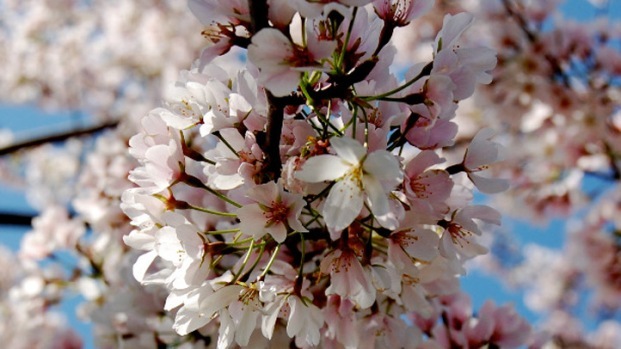 Today marks the final day of the Cherry Blossom Festival. And if you haven’t had a chance to make it down to the Mall or Tidal Basin, there’s no better time than now. One of the most popular events of the year helps to wrap up the festival. The annual Smithsonian Kite Festival is now the annual Cherry Blossom Kite Festival, and it will have crowds filling the sky over the mall with kites all day. There will be demonstrations, kite making, and competitions, including the traditional Japanese Rokkaku battles, where kite flyers try to cut other kite’s strings. So bring your favorite flying contraption or buy an official festival kite ($10.95) from 10:00 a.m. to 4:00 p.m. on the National Mall. If staying on solid ground is more your thing, then check out the Family Bike Rally and Ride at Yards Park in Southeast from 11:00 a.m. to 3:00 p.m. You can learn bike safety at a safety lesson, decorate your bike, and participate in an organized ride by the Washington Area Bicycle Association. There will also be face painting, acrobats, origami boat making, and a family health tent. And finally, catch the finale performances on the Sylvan Theatre Stage on the Washington Monument grounds from noon to 5:00 p.m. Performances today include local groups performing ballet, hula, taekwondo, Panamanian music and dance, African step, and American University’s Pep Band. 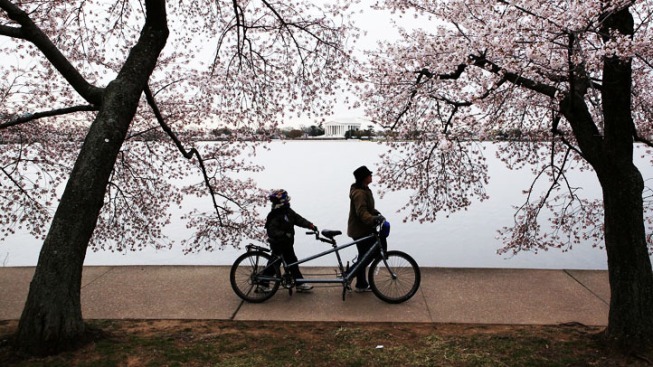 For a look at the past week's events, click on the Cherry Blossom Guide.